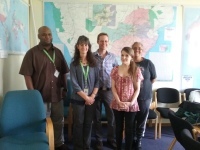 This training programme provided junior researchers and students from South Africa with a comprehensive grounding in the principles of genomics approaches to studying arthropods that are particularly important because of their impacts on human, livestock, and crop health as disease vectors, on agriculture as pests, pollinators, or biological control agents, and more generally in ecology and environmental conservation. The programme focused on practical training in biocuration skills that will enable the participants to make the most of the publically-available genomic resources to further their own research projects. of Geneva and Swiss Institute of Bioinformatics , Switzerland. 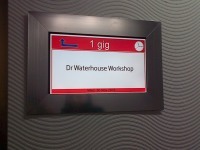 Dr Waterhouse has extensive experience in arthropod genomics with a focus on the comparative evolutionary and functional genomics of disease-vector mosquitoes and other insects ( http://rmwaterhouse.org ). 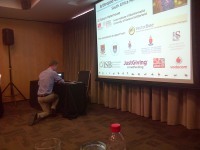 The four main partner organisations in South Africa were the South African National Bioinformatics Institute, University of the Western Cape (UWC, Prof. Alan Christoffels); the Institute of Infectious Disease & Molecular Medicine, University of Cape Town (UCT, Prof. Nicola Mulder); Wits Research Institute for Malaria, University of the Witwatersrand, Johannesburg (WITS, Prof. Lizette Koekemoer); and The Genomics Research Institute, University of Pretoria (TUKS, Prof. Fourie Joubert). 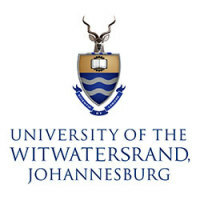 The schedule included a combined training programme for WITS and TUKS (end of November), followed by a training programme covering universities in the Cape region (Cape Town UCT, Stellenbosch SU, and Western Cape UWC) (start of December), as well as seminar visits to WITS (mid-November) and Stellenbosch (mid-December). 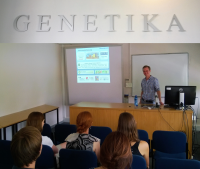 Each programme covered an introduction to the latest developments in arthropod genomics (especially disease-vectors) and the processes involved in developing the genomic resources. They then focused on teaching practical skills in biocuration of genomics data with hands-on exercises using computational tools to visualise and edit gene annotations in genome browsers using VectorBase resources ( www.vectorbase.org ). of a micro-grant from the International Society for Biocuration . Technical support was generoulsy provided by VectorBase . 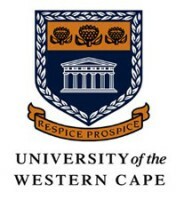 Organisational support was generously provided by the University of the Western Cape, the University of Cape Town, the University of the Witwatersrand, and the University of Pretoria, including accommodation for the organiser at the University of the Western Cape. 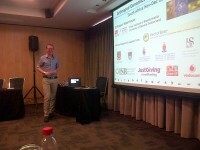 The success of the 2016 training programme prompted researchers at the University of Pretoria's Forestry and Agricultural Biotechnology Institute to organise a two-week annotation jamboree where we focused on learning about different types of genomics data and how we could apply them to improving gene annotations of genes from families of particular biological interest and desiging comparative genomics analyses to better understand the biology of this invasive pest, Sirex noctillio.